Pr. Serge R. Mordon, PhD is working in Lille, France for the French National Institute of Health and Medical Research (INSERM). He is the director of INSERM U 1189 (Laser Therapies Assisted by Image and Simulation for Oncology) and the director of the Photomedicine Center (Lille University Hospital). 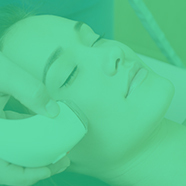 Since 1981, he has been involved in the medical applications of lasers, particularly in dermatology and plastic surgery. More recently, he has focused his research on Focal Laser Ablation and Photodynamic Therapy. He is an internationally recognized expert in laser-tissues interaction and laser applications in medicine. He has authored over 600 articles and book chapters. Pr. Mordon is the author of sixteen issued patents. Since 2012, he holds a Master Degree in Strategy and Organization Management (University of Paris X). He is Board Member of several professional societies. He is an associate editor of the journal Lasers in Surgery and Medicine. In 2015, he has been nominated Finland Distinguished Professor.